Discover Taro Dream Inc. — Taro Dream Inc. In ancient Hawaii, Poi, a thick paste made from pounding cooked taro corms and mixing with water, was considered a Sacred and Medicinal Food. In native mythology, the taro plant is considered the physical ancestor to all Hawaiians. Taro Dream Inc. Founder, Pamela Noeau Day, experienced the miracle and healing power of Poi firsthand when it saved her infant daughter’s life after doctors had all but given up on a cure for her life threatening condition. This discovery, along with Pamela’s lifelong desire to be a herbal healer, led to her belief that this powerful, highly digestible food could provide relief and aid to millions of people suffering from a variety of digestive disorders. All of us here at Hawaii Healing Food™ and Taro Dream Inc ™ are passionate in our desire to help the millions of people worldwide who are afflicted with diseases such as Crohn’s, IBS, celiac, gluten sensitivity and other digestive disorders. To non-Hawaiians visiting the islands, Poi is customarily served to tourists at a hotel luau (a modern, semi-traditional, feast in which much of the food is cooked underground and served with much fanfare accompanied by music and hula dancers). Most often, Poi, because of its bland taste, is left untouched or barely eaten at these functions. More recently, newcomers, who have moved to Hawaii, are discovering the power and health benefits of this important food and have begun to incorporate Poi into their diet. The traditional native diet, which led Hawaii’s early visitor, Capt James Cook, to declare native islanders as one of the healthiest people on the planet, has been discarded by most Hawaiians as a staple food source in favor of today’s current fast and processed food (like canned Spam!). This diet that has led to modern day native Hawaiians being among the least healthiest people in the world with extremely high rates of diabetes, obesity and heart disease. Freshly made poi begins to ferment within a day or two after it is made. In our research, we discovered that the fermentation metabolites in poi as well as its significant array of beneficial bacteria turn poi into a powerful, nutrient dense, highly digestible “super food”. The challenge for the company was to create a poi-based food that retained all its nutrients and beneficial bacteria, was shelf stable and possessed a creamy texture and taste that appealed to consumers. We were able to accomplish this through exhaustive clinical research and in-house product development. All of us here at Taro Dream Inc® are passionate in our desire to help the millions of people worldwide who are afflicted with diseases such as Crohn’s, IBS, celiac, gluten sensitivity and other digestive disorders. Cancer patients who lose their appetite and suffer from malnutrition after undergoing chemotherapy, radiation or surgery also benefit from our unique products. To speak what is truthful always so that the conscious communication in our thoughts and words matches that of our hearts and subconscious feeling nature. Thinking, feeling, speaking and acting in such a way that displays a consistent awareness of the importance of others’ needs as equal to our own. Has its root in “wholeness”, choosing to bring together our actions and our words. The deeper meaning for us is also the ability to make choices and act on them as if we were all integrated parts of one being, one life. The capacity to accomplish well. To build strength of purpose, concentration of effort and mastery of technique and detail into how we act on our desires, inspirations and business development priorities. Feeling (one) with the other as one feels for oneself. True compassion is fearless. The ability to access Spiritual Intelligence through the effective removal of attachments and fears so that pure intuition may be applied and expressed in the present worldly moment. 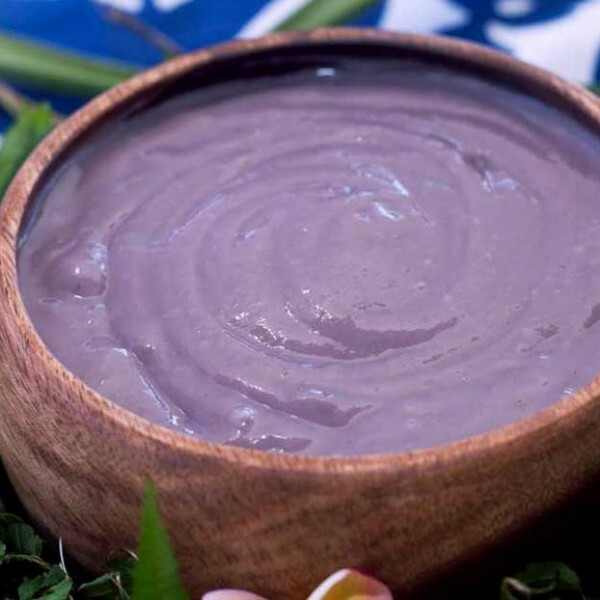 Hawaii Healing Food™ and Taro Dream® are committed to preserving the integrity of Poi, spiritually and biologically, formulating with natural, pure and wholesome ingredients, honoring traditional and native wisdom first, measuring and applying all scientific data to this standard. We have a commitment to a thorough understanding of traditional foods and wisdom and knowledge of the most up-to-date scientific data on health and healing, conducting scientific and clinical research that documents and validates Poi as a healing food. Our mission is to reawaken the core essence of the birth right of all people on earth - vibrant health on all levels and the primordial connection of the people, the Creator and the land. We diligently seek traditional and indigenous knowledge and the best that science has to offer, striving to use this combined wisdom in a manner that honors the contributions of both. We accomplish our mission through the use of Poi - the sacred, healing, fermented food of the Hawaiian people. That the people of the earth are all one people joined together by a common unifying thread in that we are all of the same ‘root of origin’ created and loved by the Kumulipo (origin and source of life). Respect, honor and love for the land that brings forth this life giving food. Respect for all protocols by honoring Papa Henry A. Auwae, Pookela Laau Lapaau, who through his vision and insight gave his blessing and permission that allows us to share the healing benefits of Taro and Poi with the world.